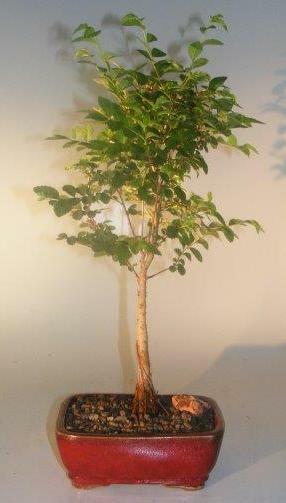 The Chinese Elm cultivar 'Elsmo' is a rounded-headed tree with graceful growing habits. The green leaves turn yellowish to reddish-purple in Fall. Resistant to Dutch elm disease, this is considered a tough specie. 10 years old, 20" tall.